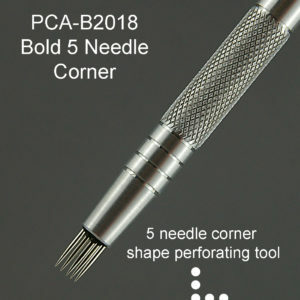 The PCA EasyCross MkII has been re-designed so that it may now be used in conjunction with either PCA Fine Straight or Fine Diagonal FlexiDuo Grids for the first shallow perforation. It is now basically two tools in one. 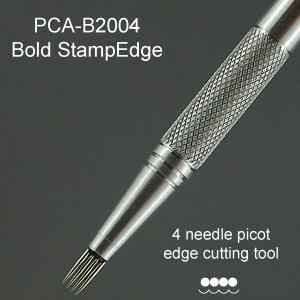 First perforation gives you the four needle quad shape. 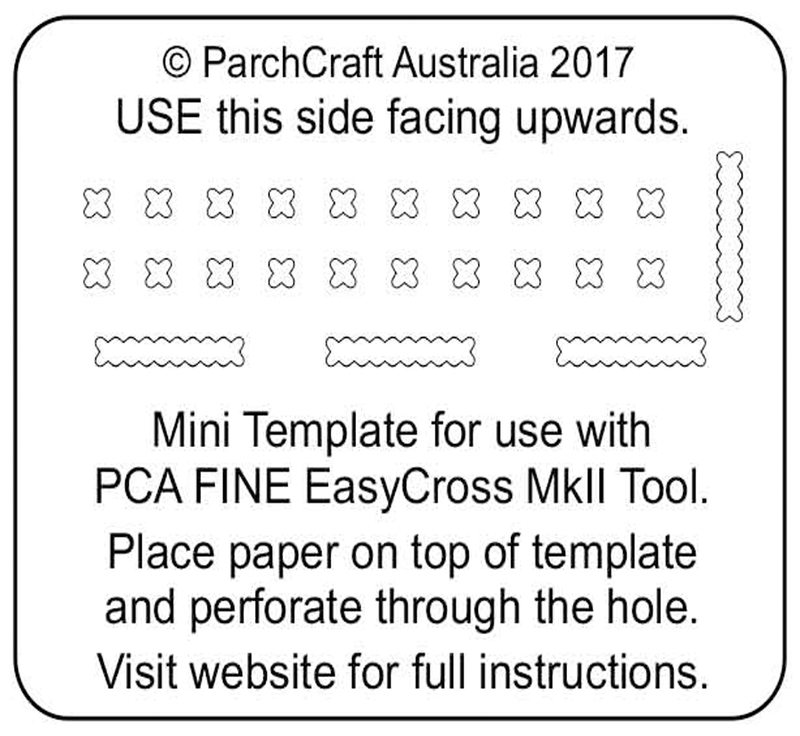 If using a grid, remove paper from grid then Perforate deeper and the EasyCross will be created. 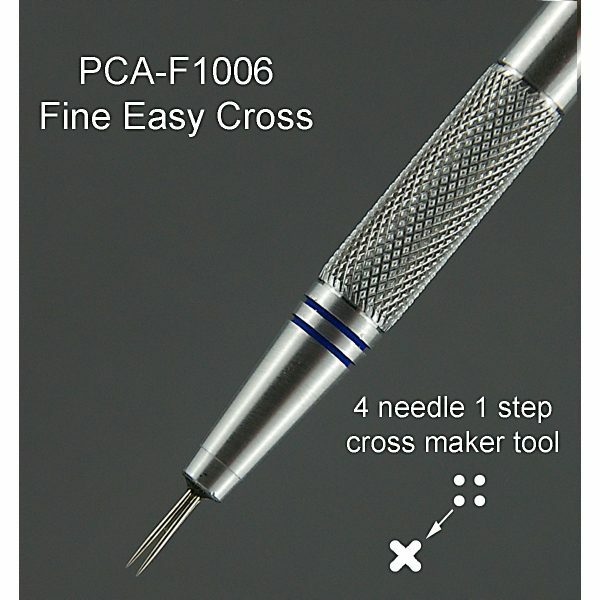 It is very easy to use and will create the perfect cross every time. 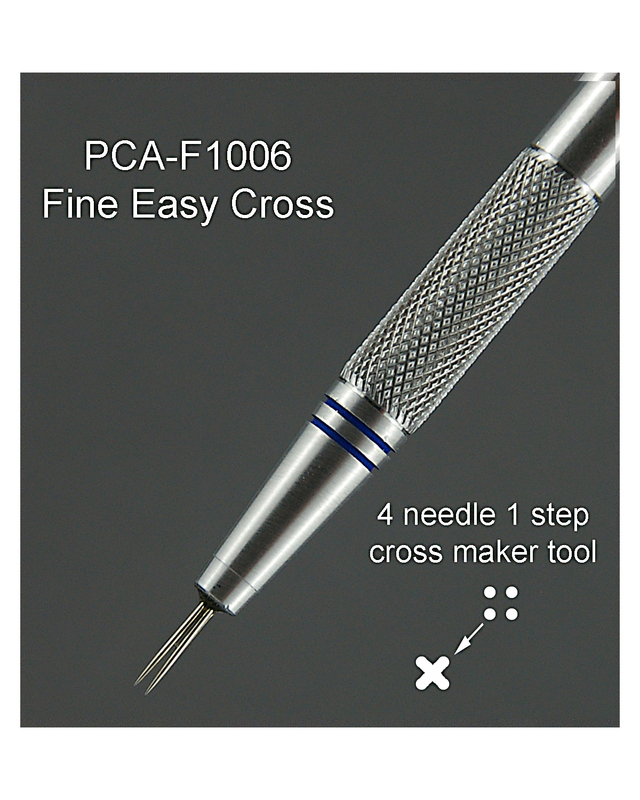 Simply place parchment over the top of the EasyCross template and perforate to the full depth of the needles. The Cross shape will be punched out. 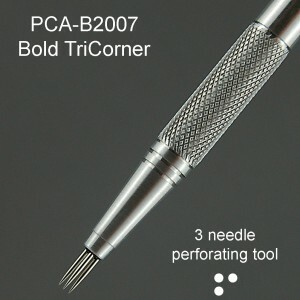 If only the perforations are required, only perforate to half the depth of needles.